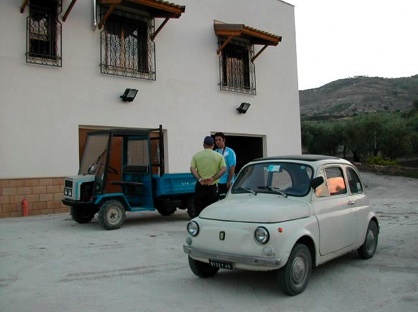 Please join me on Friday, May 21 @ 8pm for a special tasting of Olio Taibi Extra Virgin Olive Oil and for “an evening of Italian luxury indulgence.” All About Italy will feature wine and cheese tastings, Italian luxury cars, live music, and even a fashion show! I will be presenting Olio Taibi’s Nocellara and Biancolilla EVOOs. 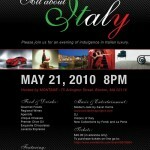 Don’t miss this special night of Italy’s finest! 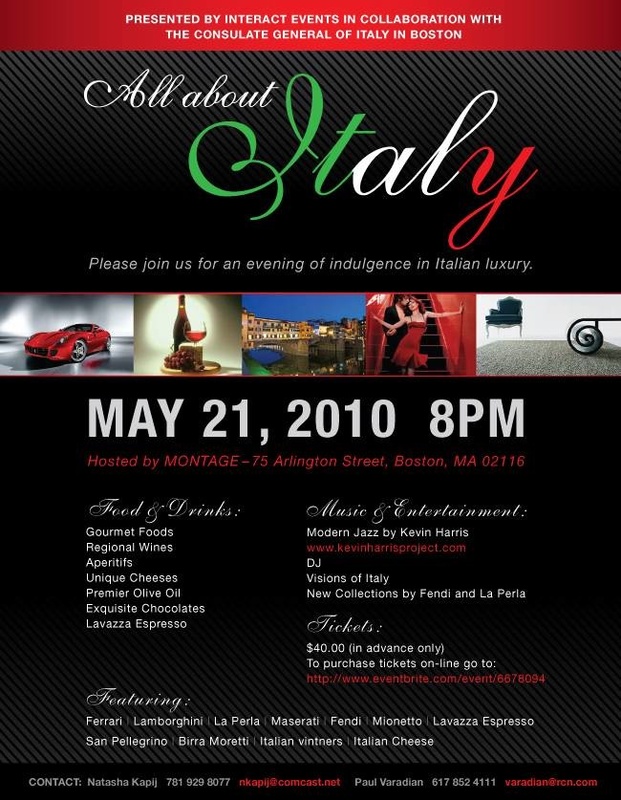 The event will take place at Montage on 75 Arlington Street in Boston. Online tickets are sold out but you can still get in by showing up (early) at the door with $40 cash. I hope to see you!